The long awaited Scottish National Trail (SNT) has launched, offering walkers a route from one end of Scotland to the other. It will definitely be of interest to Cape Wrath Trailers who are looking to extend their expeditions, as many people currently walk the West Highland Way in preparation for the Cape Wrath Trail. The SNT offers a great alternative and its later stages cover much the same route as the traditional Cape Wrath Trail. Conceived by Cameron McNeish, who has done much to popularise the Cape Wrath Trail itself, the new SNT has been widely featured in the press, had an accompanying TV programme on BBC Scotland and was officially opened by Alex Salmond; demonstration of Mr McNeish's political connections and talents for engaging the media. The second episode of the TV programme covers the section of the SNT from Aberfeldy to Cape Wrath and much of the scenery will be familiar to Cape Wrath Trailers. 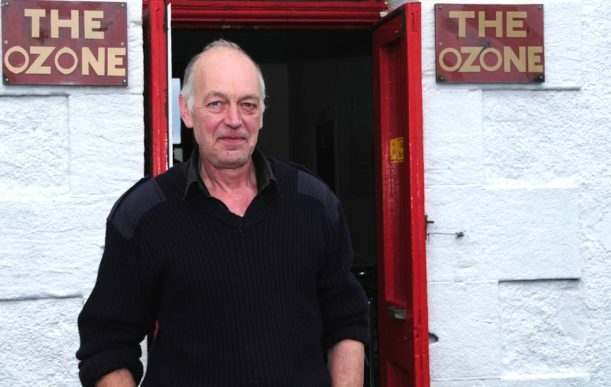 I particularly liked the interview at the end with the legendary John Ure, owner of the Ozone Cafe at Cape Wrath. I gather the show will be available to buy on DVD at some stage. There is also an accompanying book, available from Amazon. Some reviewers seem disappointed that it carries limited practical detail to support route planning and as yet there doesn't seem to be a website with details of the trail which would be a handy resource for walkers, in the same way that this website works in tandem with the Cape Wrath Trail Guide. Perhaps this will arrive at some stage in the future. A few commentators have been a bit sniffy about the route being sponsored by Gore-Tex, given that there is currently no waymarking or obvious investment in the trail itself. On this point I think one has to realise that Mr McNeish is himself a professional and the amount of time taken to research such a route is significant. So, despite carping from some quarters, on balance this is an excellent addition to Scotland's network of long distance paths and a great option for those of you that want to make your Cape Wrath Trail expedition even longer!